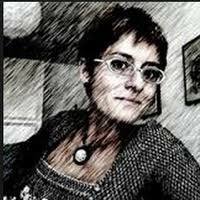 Francesca Ferrando is engaged in creating a posthuman community of inspiring energies and visions. Kevin LaGrandeur, is Professor of English at the New York Institute of Technology (NYIT), and Director of Technical Writing Programs; he is also a Fellow of an international think tank called the Institute for Ethics and Emerging Technology (IEET). He began exploring the intersections between digital technology, culture, philosophy, and English studies in the early 1990’s and was an early adopter of digital technology in the English classroom. 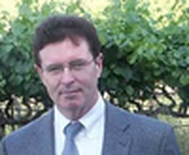 Dr. LaGrandeur has written many articles and conference presentations on digital culture; Artificial Intelligence and ethics; and literature and science. His publications have appeared in journals such as Computers & Texts, Computers and the Humanities, and Science Fiction Studies; in books such as Eloquent Images: Word and Image in the Age of New Media; and in popular publications such as United Press International (UPI). His most recent book is on the pre-modern cultural history of AI, titled Androids and Intelligent Networks in Early Modern Literature and Culture: Artificial Slaves (Routledge, 2013). His more recent conference presentations and publications have been on transhumanism and the posthuman. 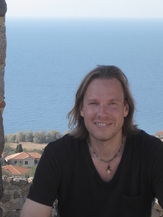 Stefan Lorenz Sorgner is lecturer of medical ethics at the University of Erlangen-Nuernberg. He studied philosophy at King's College/University of London (BA), the University of Durham (MA by thesis; examiners: David E. Cooper, Durham; David Owen, Southampton), the University of Giessen and the University of Jena (Dr. phil. ; examiners: Wolfgang Welsch, Jena; Gianni Vattimo, Turin). In recent years, he taught at the Universities of Jena (Germany), Erfurt (Germany) and Klagenfurt (Austria). His main fields of research are Nietzsche, the philosophy of music, bioethics and meta-, post- and transhumanism. Yunus Tuncel, Ph.D., is a co-founder of the Nietzsche Circle based in New York City and serves on its Board of Directors and the Editorial Board of its electronic journal, The Agonist. His doctoral dissertation on Nietzsche’s philosophy is entitled “The Principle of Agon in Nietzsche’s Thought.” (The New School for Social Research, 2000). Yunus Tuncel has been teaching philosophy at the New School since 1999 and NYU’s Liberal Studies Program since 2001. In addition to typical philosophy classes, he teaches inter-disciplinary topical classes on power, taboo & transgression, gai saber & the troubadours, crime & punishment, and spectacle. He organizes textual workshops to read philosophical texts closely. In addition to Nietzsche and history of philosophy, he is interested in the twentieth century French thought and recent artistic, philosophical, and cultural movements, including trans-humanism and post-humanism. His primary areas of research are art, culture, myth, sports, and spectacle. He is interested in the fusion of art (all forms of art) and philosophy in various cultural formations. In recent times he has undertaken a project called Philomobile to explore, with interested searchers, the works and lives of philosophers on location within their historical context. His most recent book, Agon in Nietzsche, was published in 2013 by Marquette University Press.